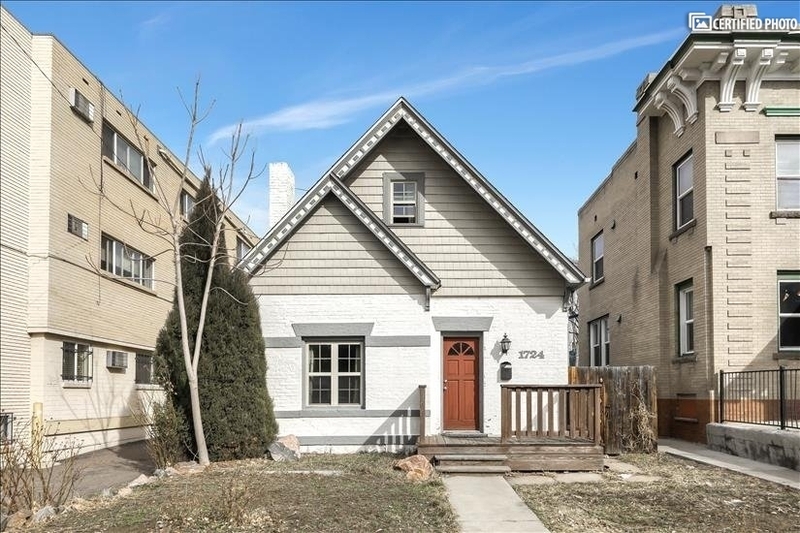 A Historic Central Denver rental with cozy charm. 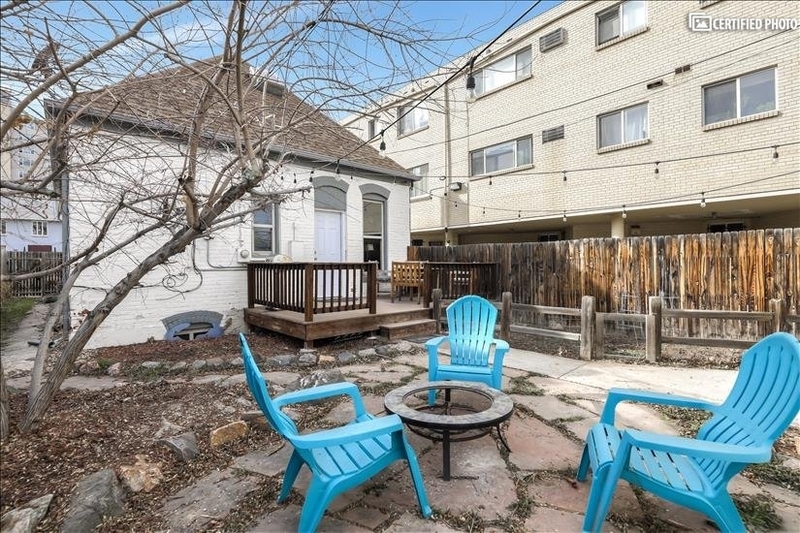 This charming corporate rental offers fully furnished monthly housing in a historic neighborhood in the heart of City Park West, Denver. 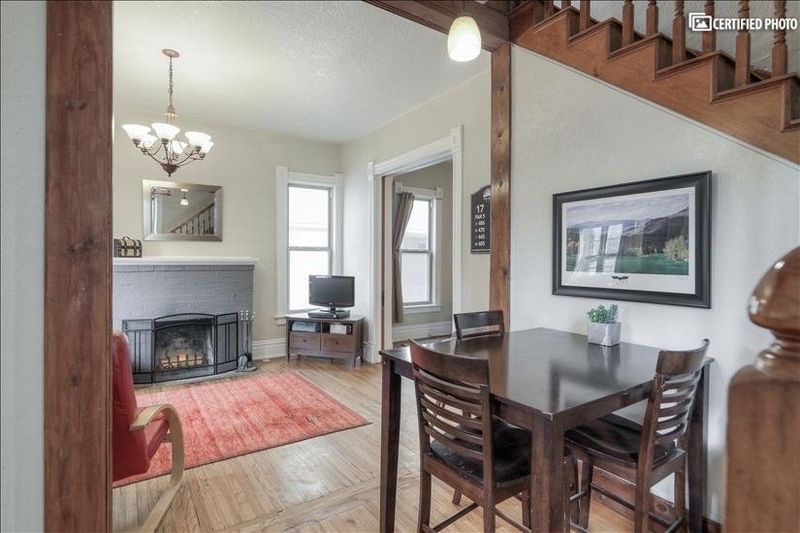 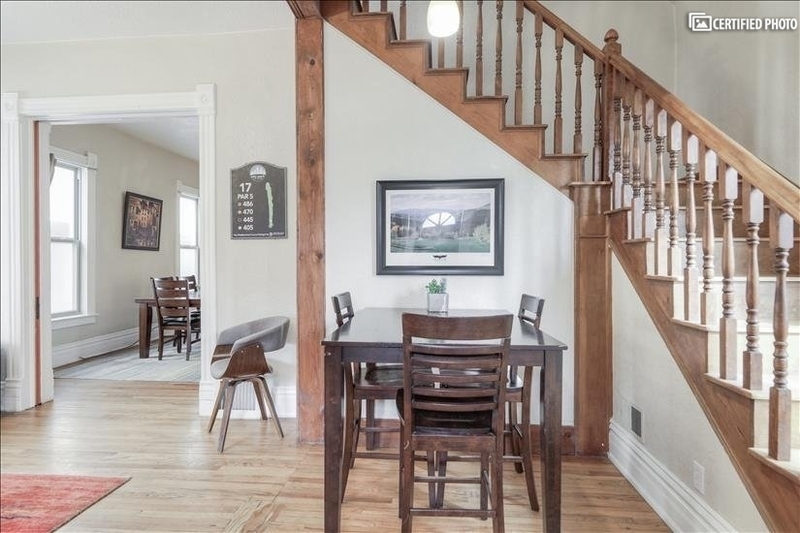 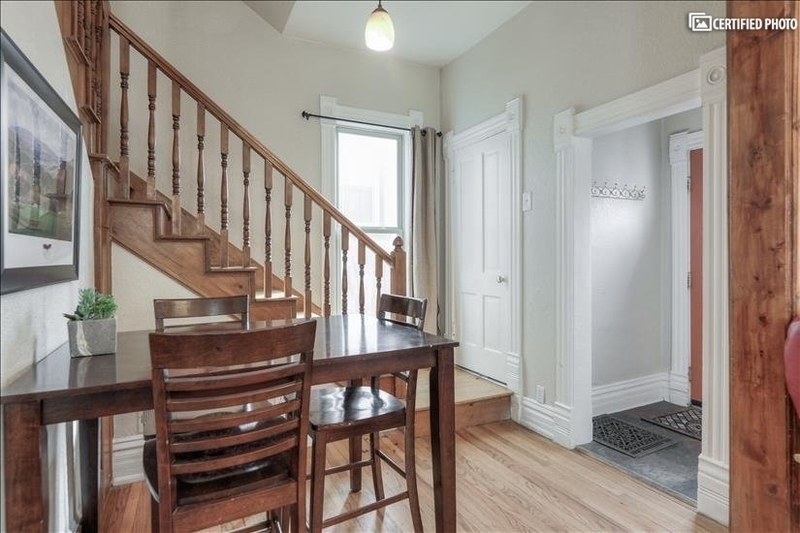 Built in 1887, this lovely home has been updated and includes four bedrooms and two large bathrooms. 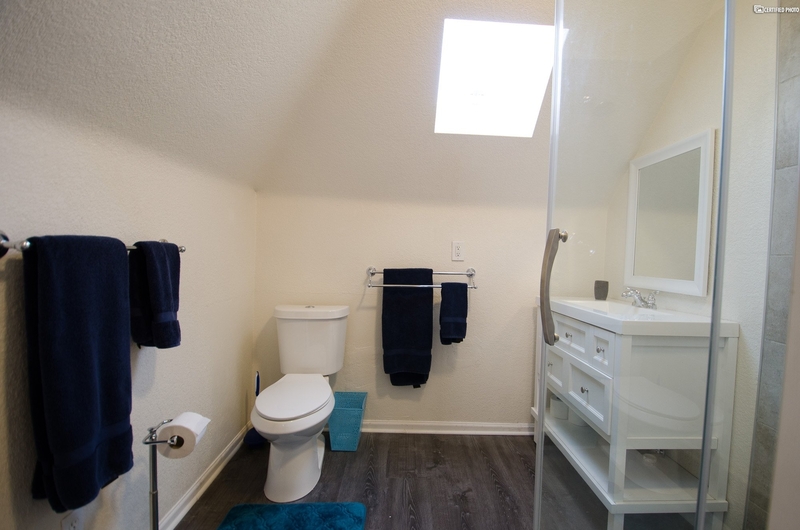 It includes a 2 car garage and off-street parking (enough room for three separate vehicles) and is CHBO Complete. 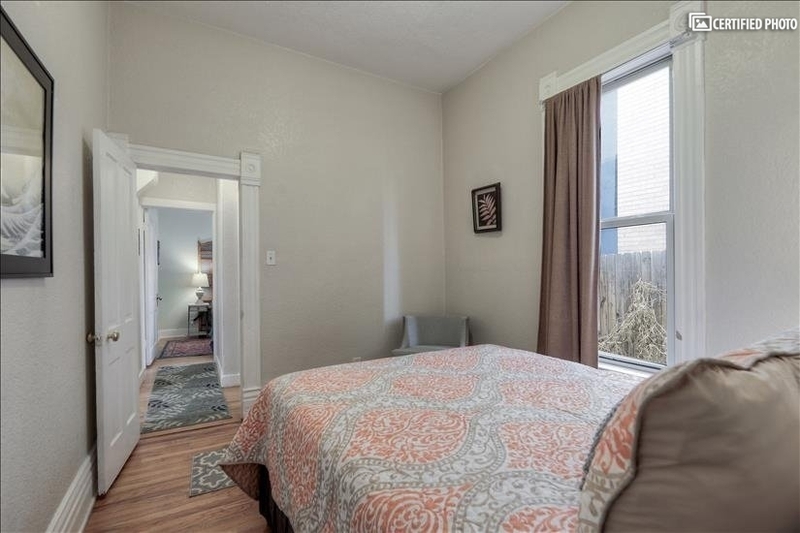 A pet-friendly option, this Central Denver corporate rental is just west of such locations as the Denver Zoo, the Museum of Nature and Science and City Park. 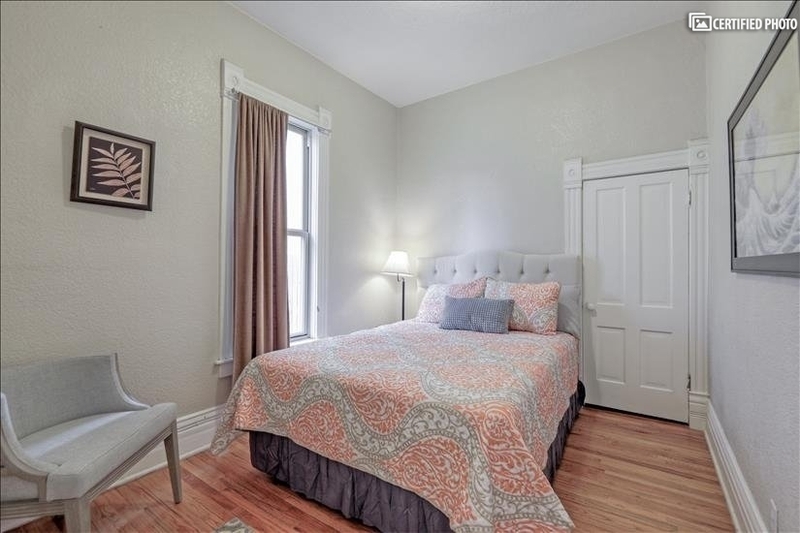 It has a high walkability score because it places visitors close to major public transportation hubs, local stores and shops, entertainment, dining and the nearby parks. 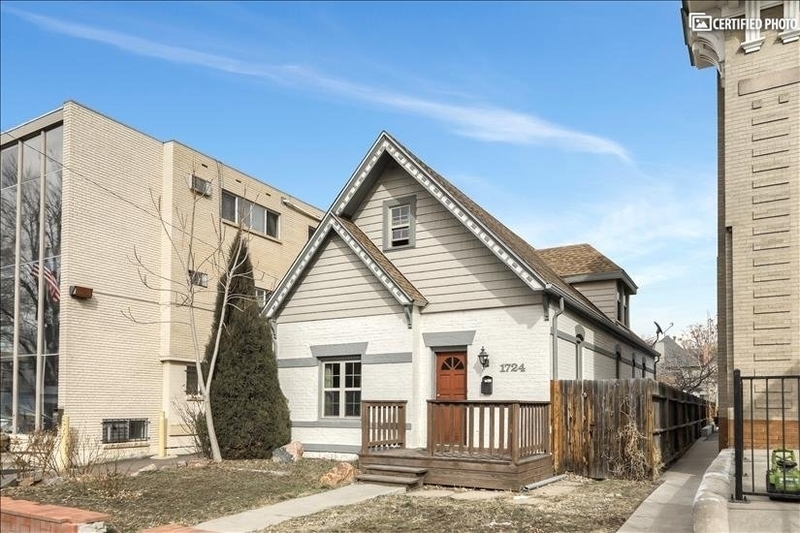 It is also close to major roads and has quick access to downtown Denver, as well as the area’s hospitals, medical centers and corporate locations. 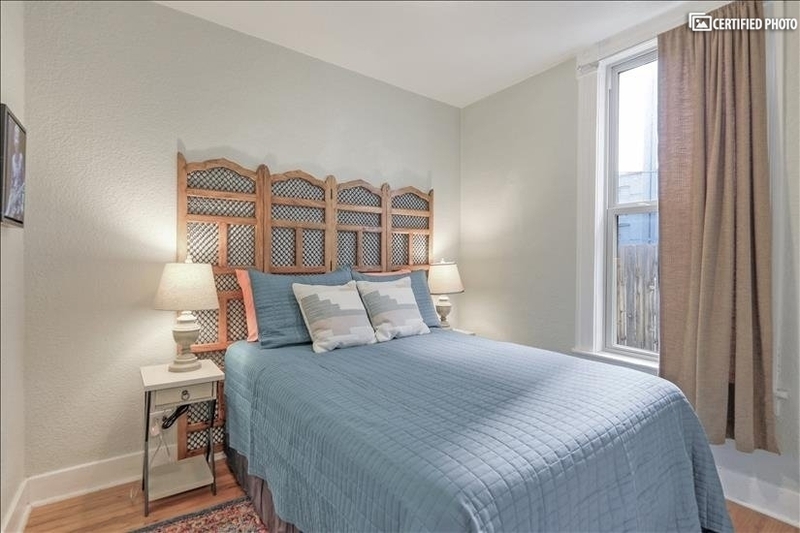 From this Central Denver corporate rental, it would be easy to make a wider exploration of the region, too, but the great comforts it offers may make it tough to leave. 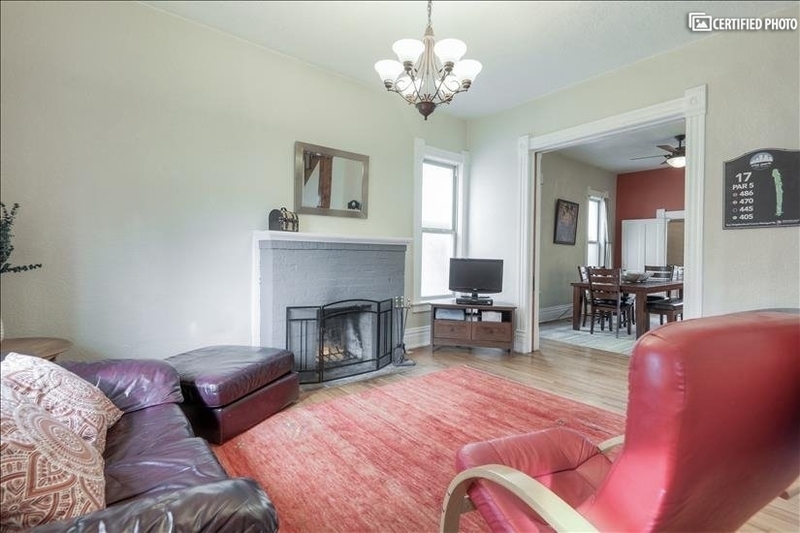 After all, it features an oversized living room with a large fireplace, cozy seating and a smart TV. 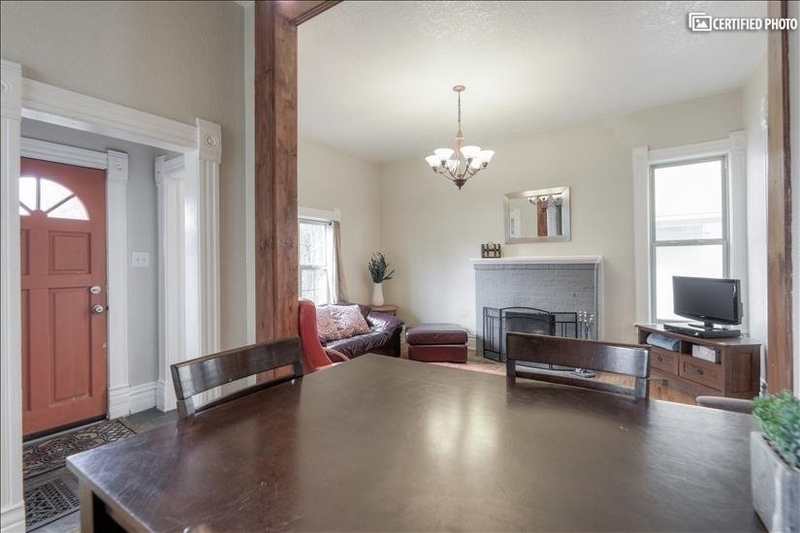 The dining room and the kitchen are adjacent to the front room. 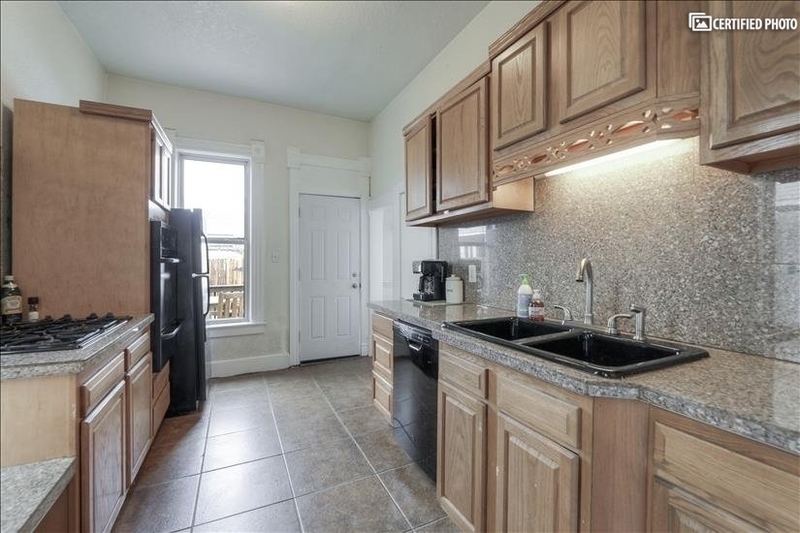 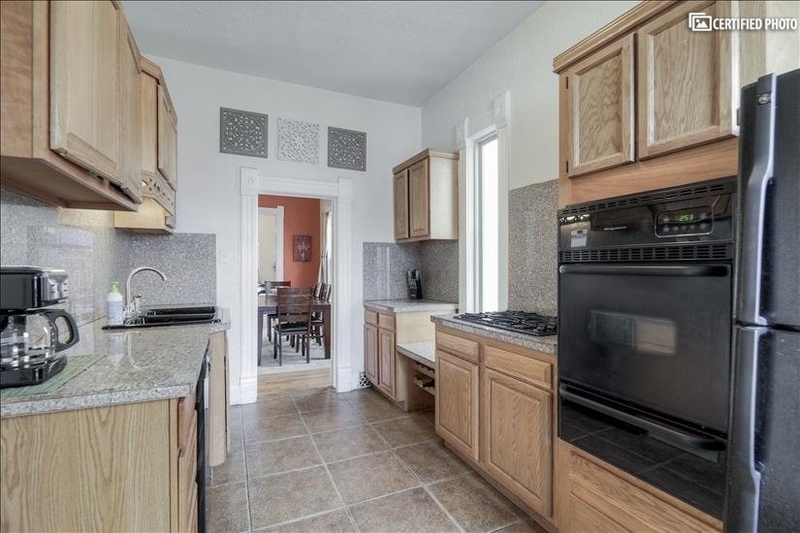 The kitchen has a deep pantry, gas stove and oven that will allow you to simply arrive and begin whipping up your favorite drinks, meals or snacks. 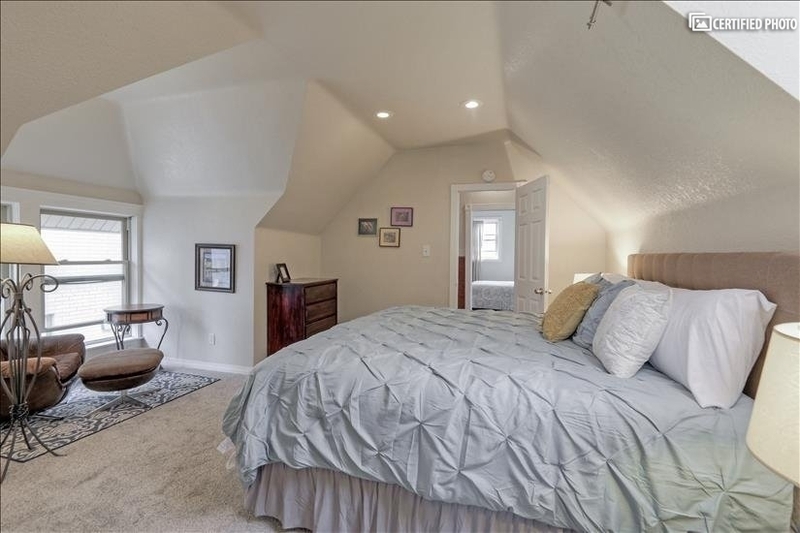 A washer and dryer, ironing board, and storage are all on the basement. 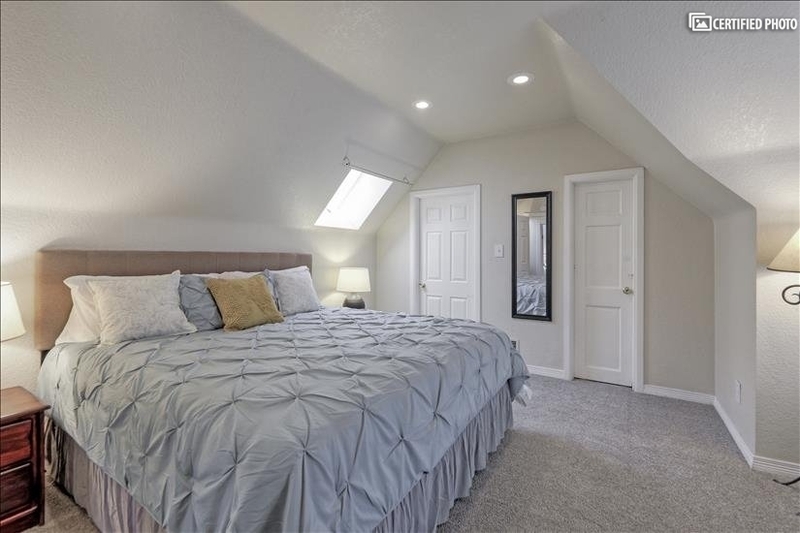 The four bedrooms in this fully furnished monthly corporate housing option are divided between two floors. 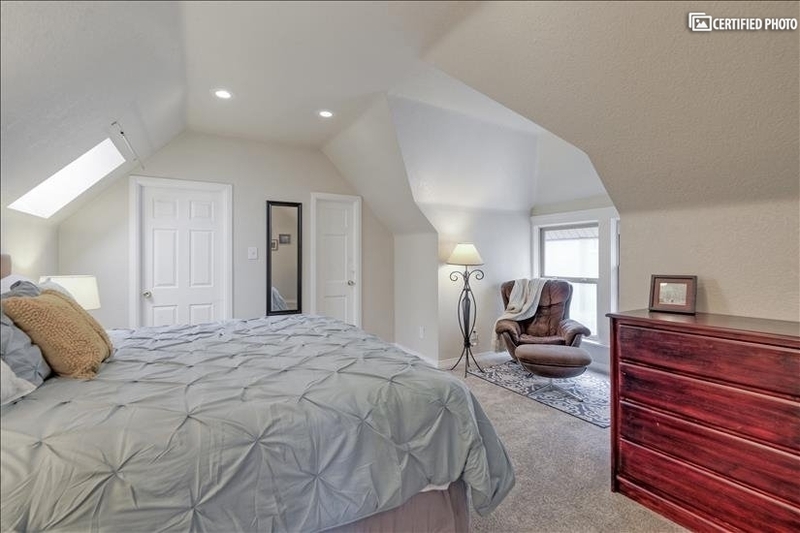 The master suite has a king bed, sitting area, storage and newly updated master bath. 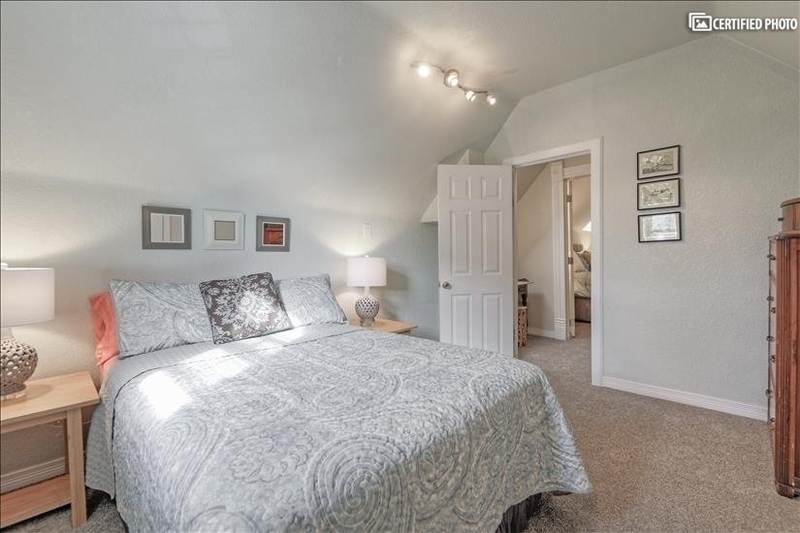 The space opens to a smaller bedroom across the hall. 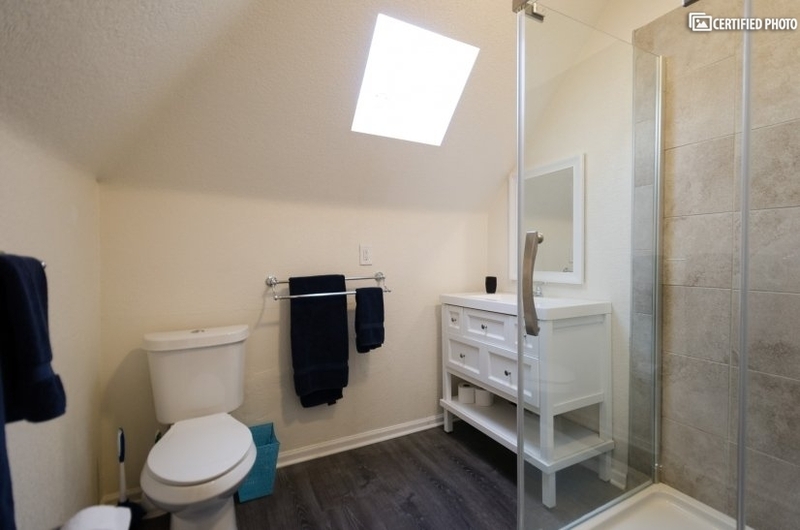 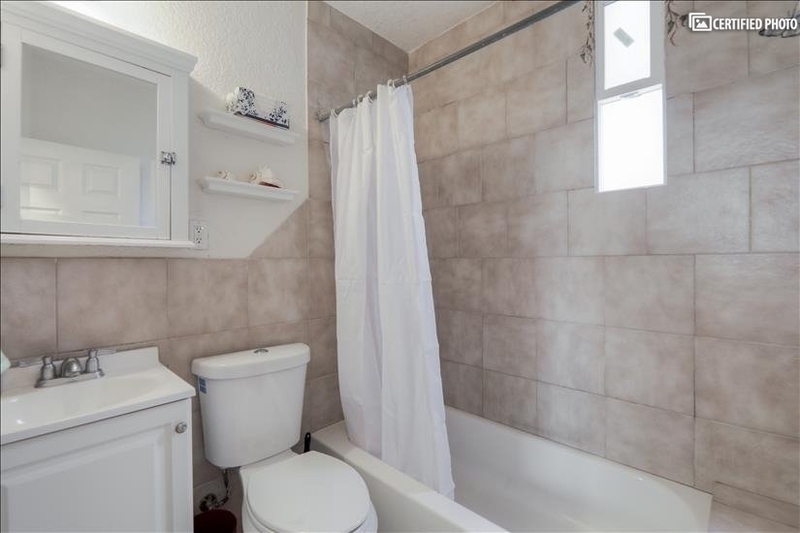 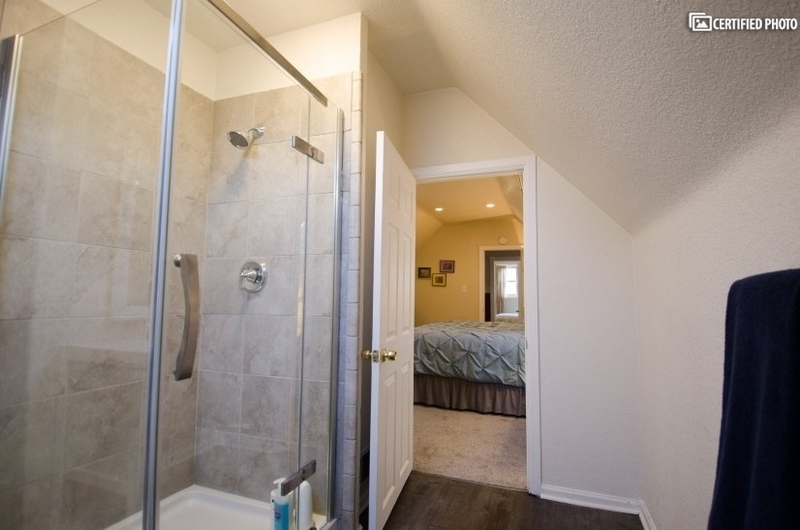 Two other bedrooms are on the main floor and share a large bath. 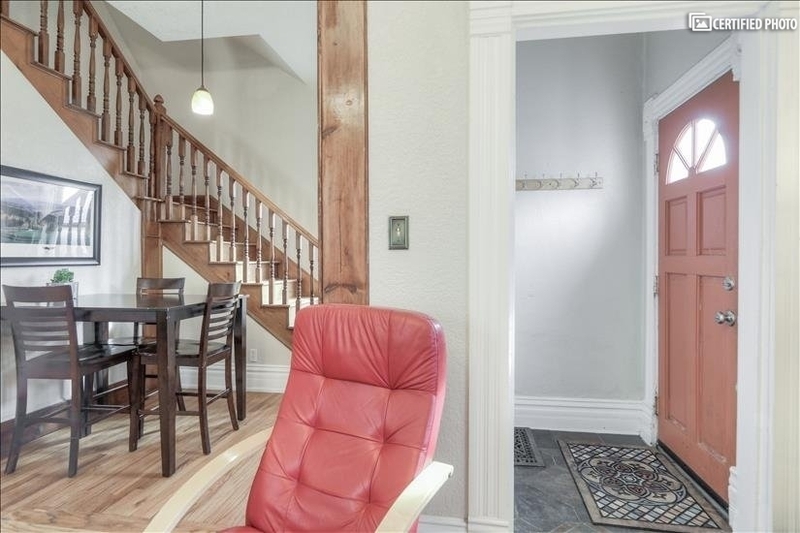 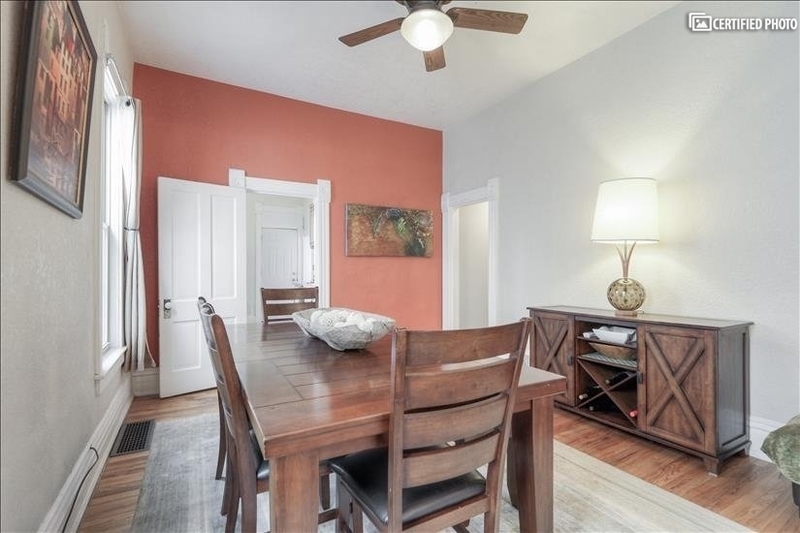 Original wood floors and detailing throughout. 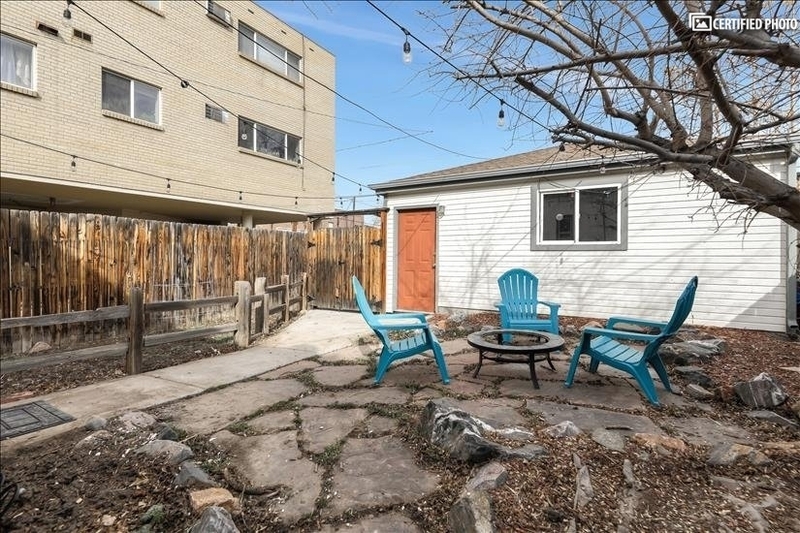 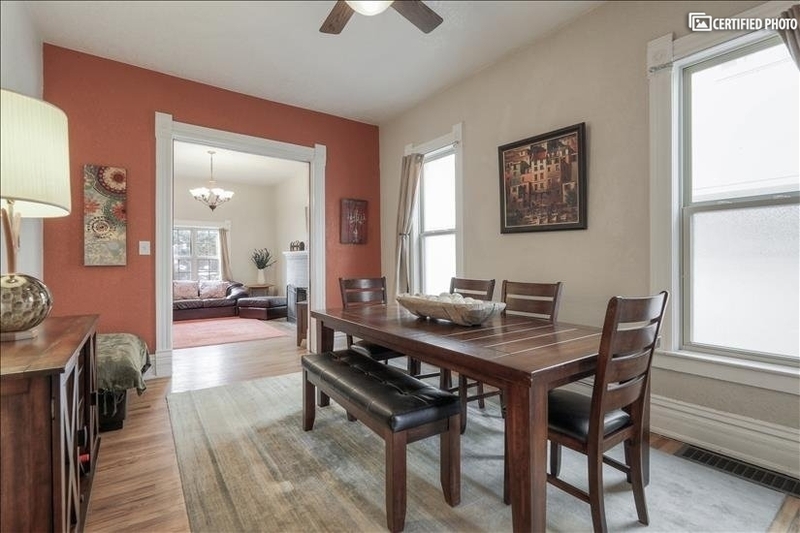 This Central Denver corporate rental has a quaint front yard with an open porch that gets great afternoon light. 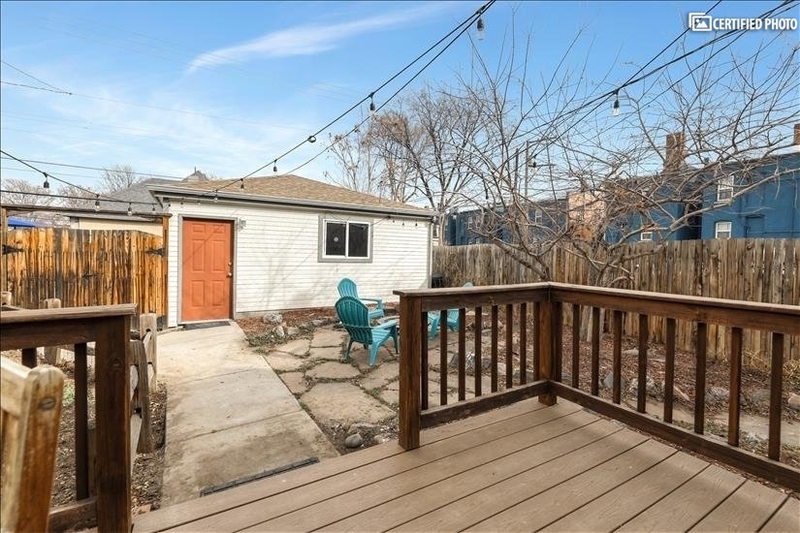 The back of the home has an oversized deck, fenced yard, string lights and garage. 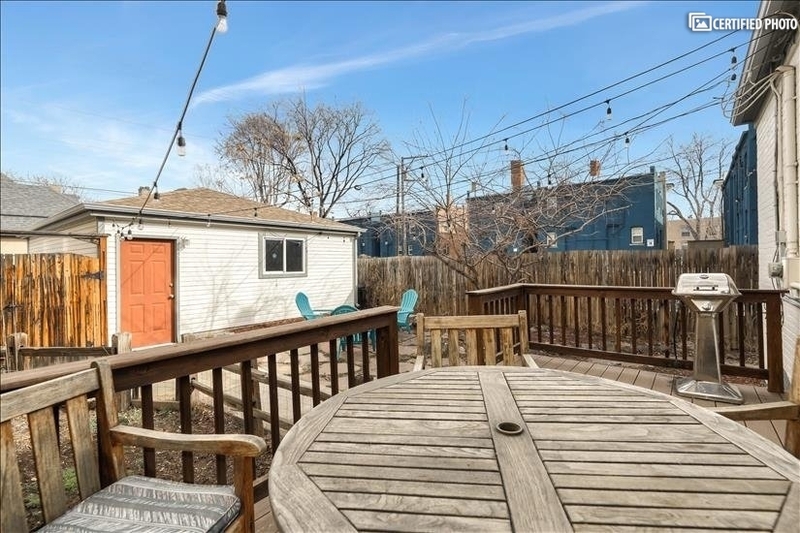 There is a barbecue area, fire pit and al fresco dining spots on the deck and in the yard. 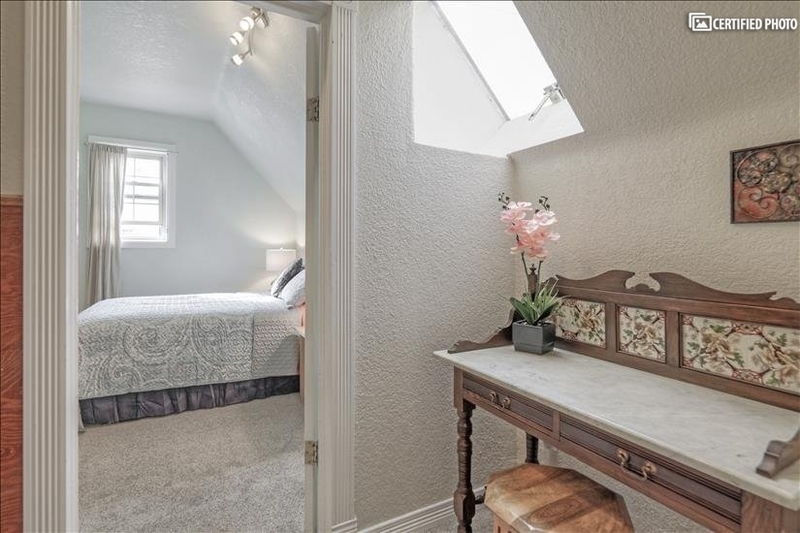 This is an area you will find yourself visiting and re-visiting often. 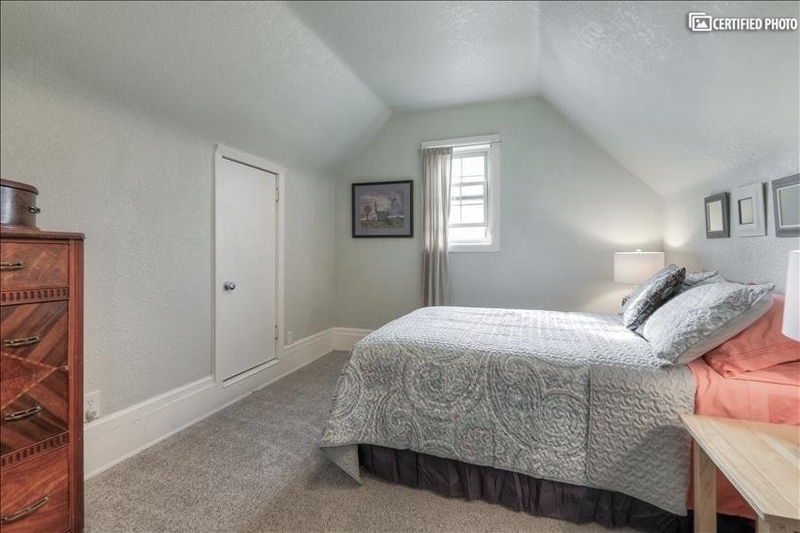 As this is a pet-friendly, fully furnished monthly corporate housing, it would be an ideal spot to spend time with your furry fellow traveler. 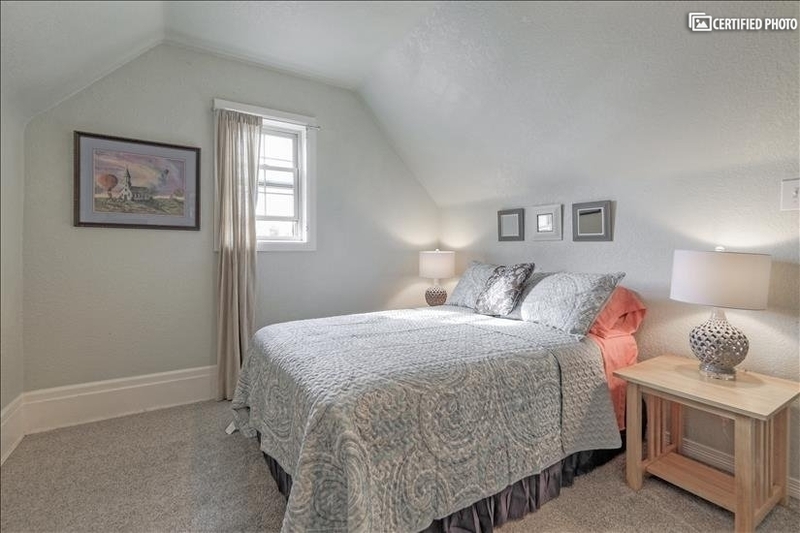 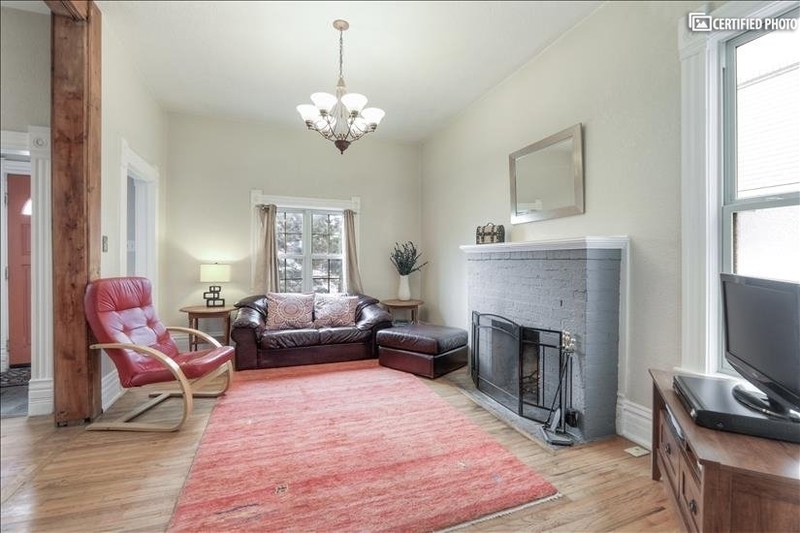 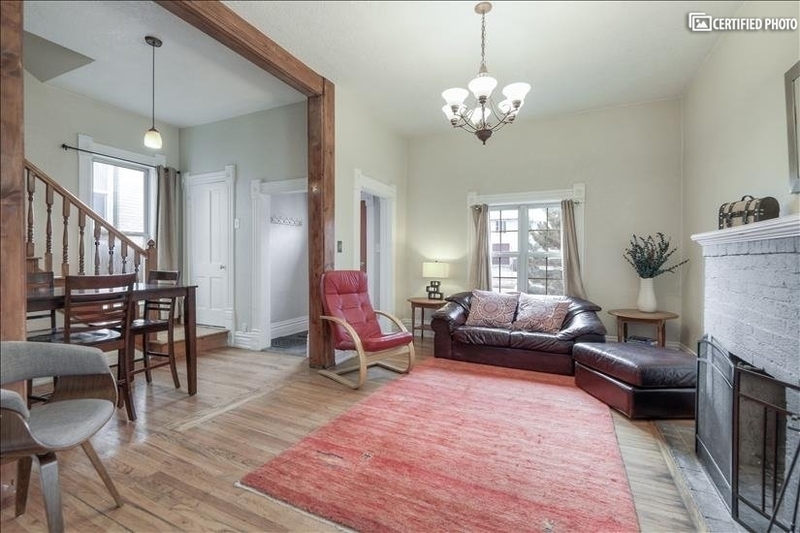 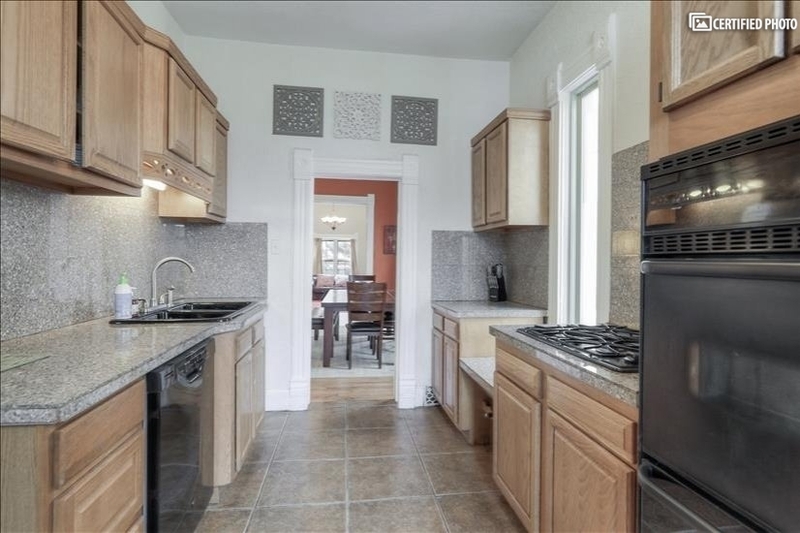 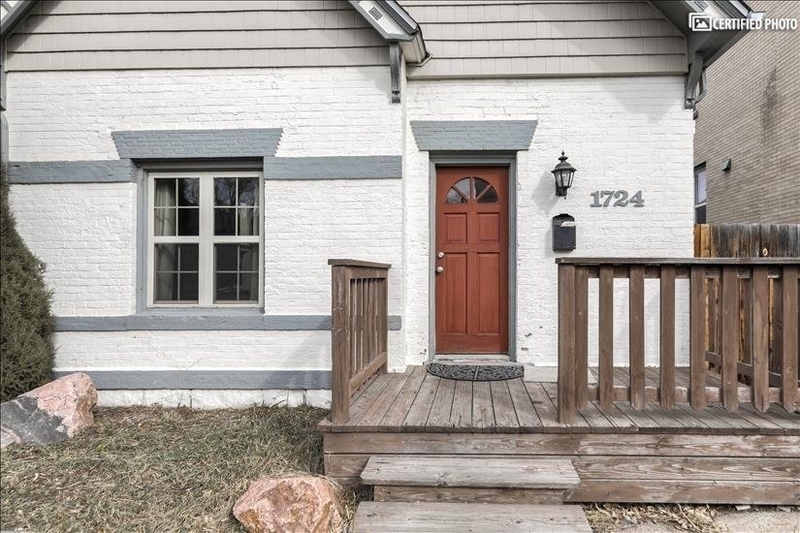 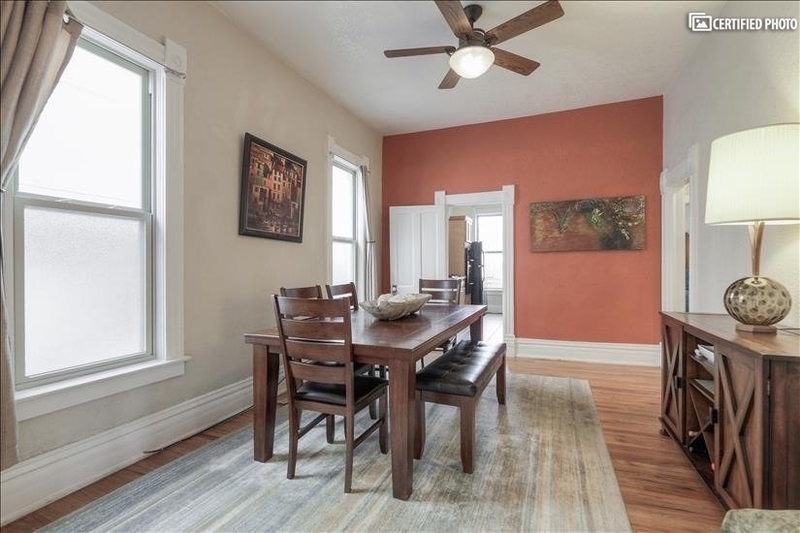 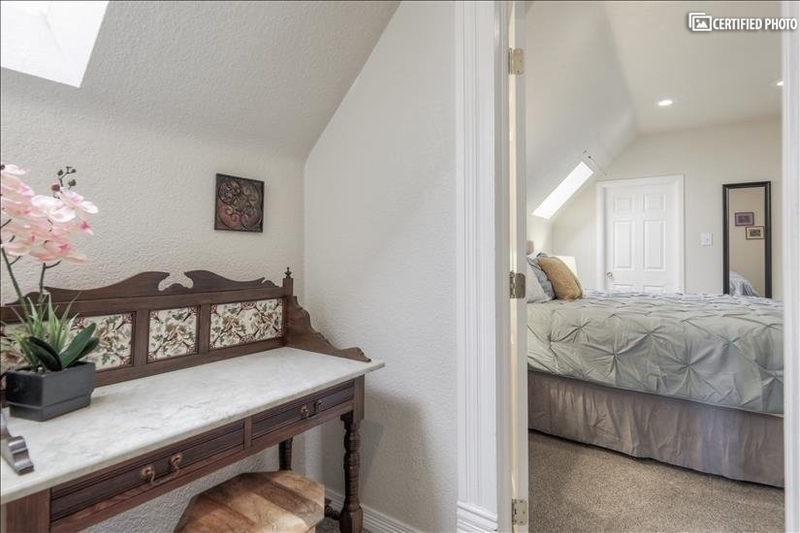 There is much to like about this charming home in the heart of Denver, and whether for business or leisure, it is sure to provide a perfect home away from home.